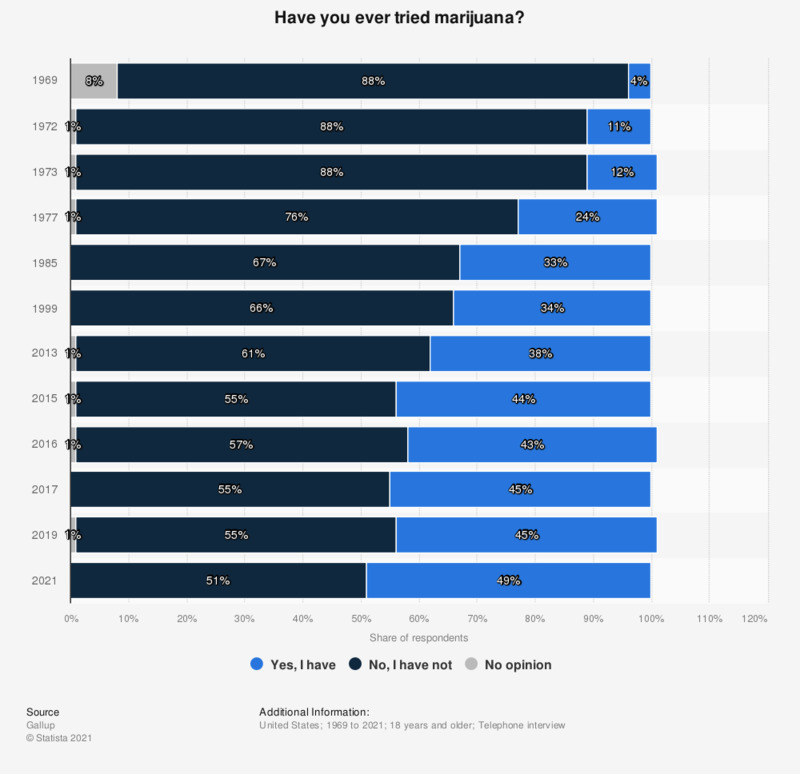 This statistic shows the results of a 2015 survey among adult Americans on marijuana use. 44 percent of respondents stated they have tried marijuana at least once. The source poses the question as follows: "Keeping in mind that all of your answers in this survey are confidential, have you, yourself ever happened to try marijuana?"